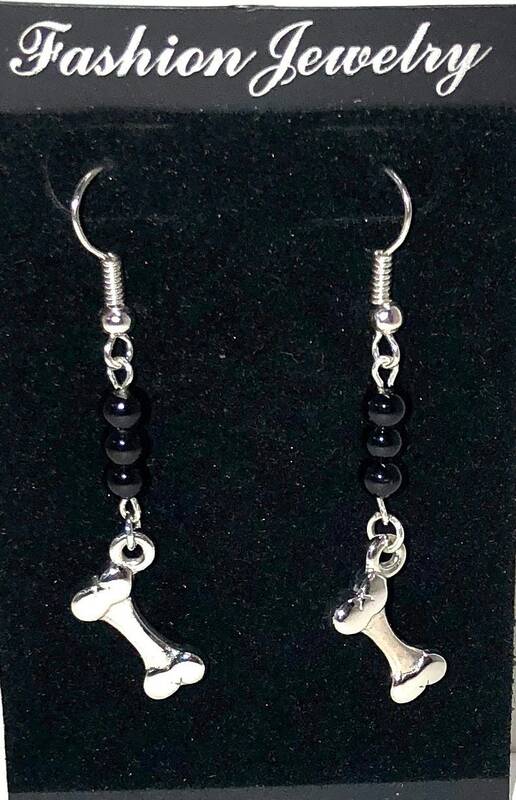 Dog lovers will love our hand crafted dangle earrings. 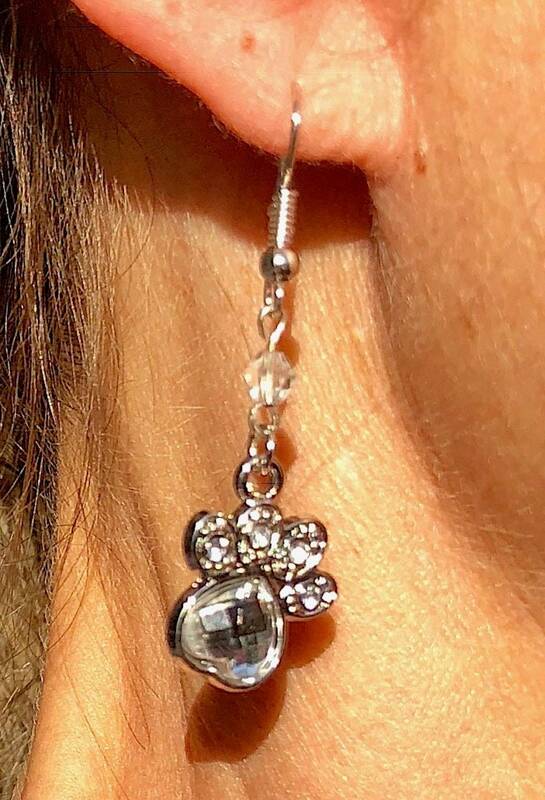 A variety of fun pet themed earrings will be you favorites. 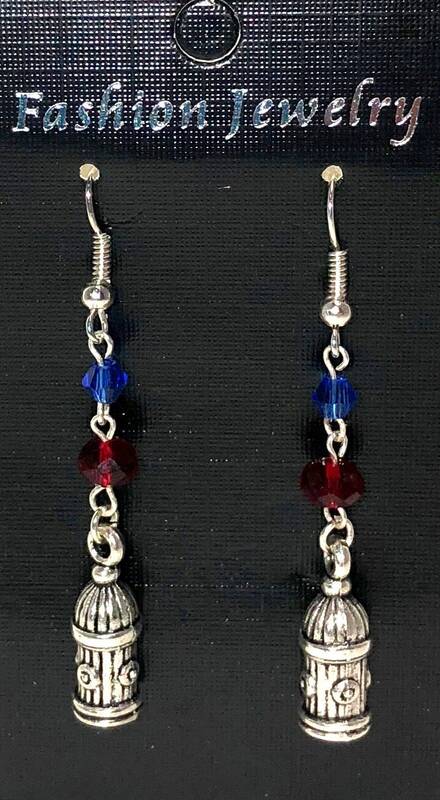 Made with sterling silver wire, these dangle earrings are wearable by most. 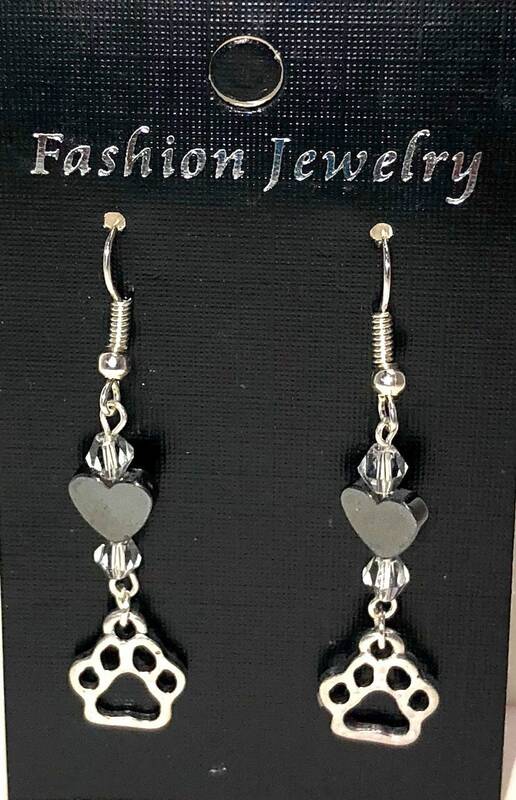 We accept PayPal, Direct Pay through Etsy, and Etsy Gift Cards! All orders are processed and shipped after payment is received. NOTE: Custom Orders must be paid in advance of actually making the product. No returns or refunds on Custom Orders! 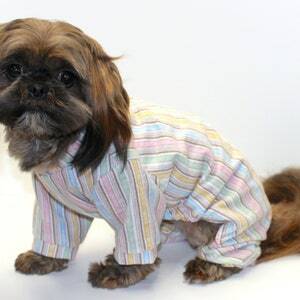 Please consider that we are creating something special for your dog - custom sizing, design, or materials/fabrics will have an additional "Custom Order Fee" calculated into the price and the buyer will be quoted and charged before the order is started. READY TO SHIP Items - usually ship within 1-3 business days from time your payment clears, however times may be longer depending on availability, packaging, and/or handling times. MADE-TO-ORDER Items - usually ship within 3-5 days from the time payment clears, however times may be longer depending on availability, packaging, and/or handling times. I am not responsible for the transit of your purchase once it leaves my door... Delivery time varies depending on the Shipping Method chosen, weather, holidays, or workload of the shipping carrier. Please contact the carrier with questions. Every item that is valued over $25.00 or that is shipped internationally, is insured. Shipping laws are different in each country. It is your responsibility to check with your Customs office to verify whether the country to which you are shipping permits the shipment of your products. Whirly Dog Supplies is not responsible for any direct, indirect, punitive, or consequential damages that arise from improper international shipping practices. If you are unsatisfied with your product, please feel free to contact me and we will accept returns on most items due to manufacturing defects. Items must be return within 14 days of purchase. We want you to be happy with your purchase, but we ask that you return the product in its original packaging, with all accessories, owner’s manuals, warranty information, packing materials, and in the condition (we will not accept worn or soiled items) you received it. We will happily refund the price of the item minus shipping. Buyer pays return shipping. 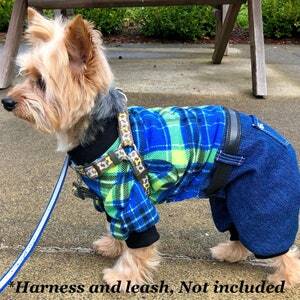 ~Sizing issues ~ Please measure your pet carefully. ~ Your dog's health and safety is important to us. Diseases such as Parvo (which can live up to one year on surfaces), as well as parasites, can be transferred from pet to pet. Therefore, we Do Not accept returns for refund or exchange. Buyer assumes responsibility for ordering correct sizes, colors, or styles - No refunds or exchanges if the buyer orders the incorrect item. 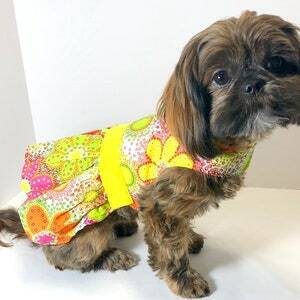 https://www.whirlydogsupplies.com/post/460035149685/measure-your-pet for instructions on how to measure your dog, or feel free to 'convo' me with your measurements, before ordering. ~Used, damaged, or soiled products! ∆∆∆ No Cancellations after 6 hours of purchases - I may have to order fabric or materials and then your order is scheduled therefore, orders will continue processing after 6 hrs. If the item is "In Stock" it generally will ship within 24hrs, so you would not be able to cancel. 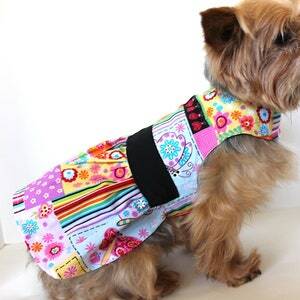 Remember to check aback often here on Etsy for the latest dog fashions and at www.whirlydogsupplies.com for product updates, news, and information.